If you are looking for data not listed here, please contact the GIS Department directly. ESRI shapefile (.shp) format compressed as a .zip file, updated daily. ESRI shapefile (.shp) format compressed as a .zip file, last updated September, 2016. Will be updated in late 2019 after acquisition of new aerial imagery. ESRI shapefile (.shp) format compressed as a .zip file, updated January, 2019. ESRI shapefile (.shp) format compressed as a .zip file,as of January, 2019. ESRI shapefile (.shp) format compressed as a .zip file, updated daily. Includes basic ownership and valuation information. 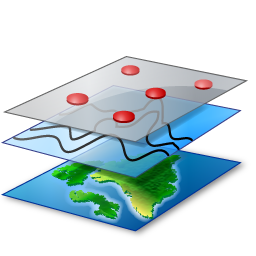 Google Earth (.kmz) format, updated daily. Includes basic ownership and valuation information. Once downloaded, double-click on the file to open (you must have Google Earth installed on your computer). Complete set of spreadsheet-compatible (.dbf) format tables from the Teton County Assessor detailing parcel characteristics, updated daily. (.dbf) format table from the Teton County Assessor summarizing basic parcel ownership information, updated daily. 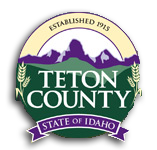 List of Teton County Parcel Tables and associated fields (.pdf format). Key to Teton County Parcel Table fields (.pdf format). Key to property category types used in the Parcel Tables (.pdf format). ESRI shapefile (.shp) format compressed as a .zip file, current as of January, 2019. Depicts local mail-delivery areas developed in cooperation with local USPS Postmasters. ESRI shapefiles (.shp) format compressed as a .zip file, includes currently adopted County Zoning, City of Driggs and Driggs Area-of-Impact Zoning, Driggs special overlays and Airport zones, City of Victor Zoning, City of Tetonia Zoning. Last updated 1/11/2019.